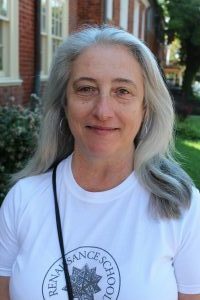 Andrea Fisher Rowland is a teacher and writer living in Charlottesville. Her poems will soon appear in the journal Artemis, and she won the poetry competition sponsored last year by Writer House and the Jefferson-Madison Library with her poem “These Same Fields.” She teaches English at Renaissance School and received her Masters with a concentration in creative writing and her PhD in English from the University of Virginia. Poetry has been an integral part of her life, and she loves to talk to kindred spirits. Andrea is a new WriterHouse instructor. Please check back after the Summer 2018 term to find out all of the great things our students have to say about her.